The end of the summer holidays ushers in the new academic year when the focus shifts towards tackling a new year in education. For some households children may be taking their first tentative steps into schooling, while in others, students are moving away from home to pave their own way into their future. The support and guidance of family, friends and teachers are important as they coach students through to the next stage in life. The schools and colleges have structures in place to smooth the transition and support their charges to achieve their best, both individually and professionally. Touch point meetings are put in place to help review performance against targets, smooth any issues, and celebrate successes. This may not be the start of a new financial year, but as Autumn takes hold it can be a good time to take stock from a business perspective too. How is your sales team being supported? Are they getting the correct coaching to drive their success? Do your business systems provide appropriate support and feedback on performance? Is the team being effectively managed? Sales managers are under significant pressure to manage their teams to deliver results for an organisation. They may have moved up through the ranks, having proved themselves as successful sales people, and are charged with passing this know-how onto newer recruits. 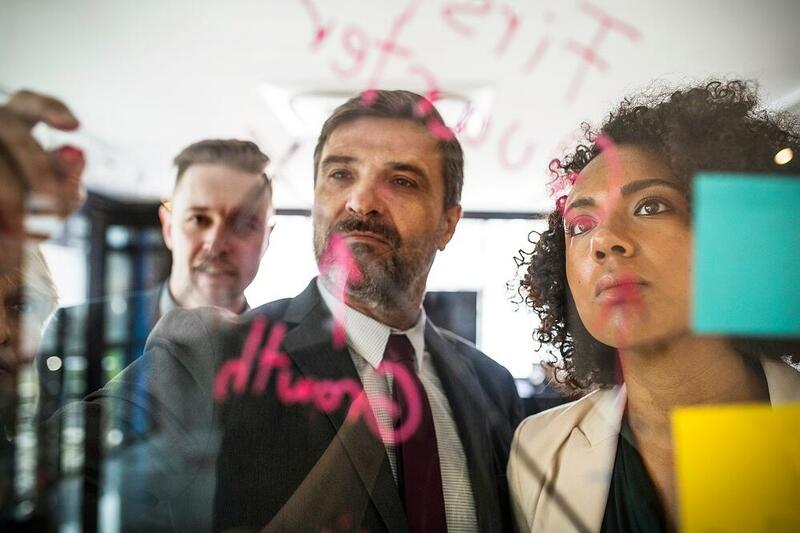 In the absence of a formal coaching process sales managers tend to focus on the best and worst performers in a team in an effort to drive results. They enjoy reliving their successes with the top performers, and engage with poorer reps as an essential to meet territory goals. But, while this approach might accelerate sales performance in the short term, it won’t result in driving high-value sales behaviours across the entire team to deliver longer lasting winning sales performance. Sales coaching empowers sales managers and reps to improve selling and close more business. Research from CEB, suggests that sales reps who receive just three hours of coaching per month exceed their goals by 7%, boosting revenue by 25% and increasing close rate by 70%. Furthermore, according to the Sales Executive Council, a 5% performance increase across the core team yields over 70% more revenue when compared to a 5% shift in top performers’ productivity.However, despite the supporting evidence, most sales managers spend the bulk of their time on other activities (e.g., selling, preparing forecasts, attending meetings) rather than coaching their teams, and developing the skills that can have the biggest impact on sales. Effective sales coaching helps identify the sales behaviours and habits that characterise the top performers, as well as the timings and cadence that work best for a given industry or organisation. By using sales performance management tools integrated into the CRM system, it is possible to learn what works best in the sales process from the top performers in the team, and share those learnings. Digital technology has also enhanced the sales process and armed teams with a powerful tool: data. Sales leaders are resoundingly appreciative of the power of data and are keen to apply it to their sales processes. Data in itself however is not a panacea and will only ever be as valuable as the insights and actions that teams can take from it. Data and tools provide sales leaders insight to understand a team and help drive high-value sales behaviour. However it’s not a complete substitute for good people management to help sales reps develop the skills, knowledge and use of strategies that improve sales results. Here’s six simple tips to steer your sales team to success. The top priority of sales coaching is to help people improve and grow their skills. Not to close the deal for them. Remember your role is to stand at the side-lines, offering a new and impartial perspective of your rep’s strategy and technique. Block out an hour a week/ a month with each individual to privately discuss their workload and any areas they may need support around. Coaching should never be given on the fly (and never ever whilst in the presence of a customer! ), it should be practiced as a standalone exercise where both parties (sales rep and sales leader) are properly prepared for the activity. Encourage team members to come into each meeting with a list of questions. This is, after all, a two-way exercise. It’s not about what they’re doing wrong but about how they can improve on what they’re already doing. For sales coaching to work well, it has to be a rewarding experience for the person receiving it. Offer support that can in fact help them be more successful and your team will soon be looking forward to your coaching sessions. It’s a time consuming exercise but it is truly the only way to offer your team the real support it needs from you.Only by watching your reps out on the field will you be able to get to know your rep’s selling technique and understand your prospect’s needs. You will be amazed at how little correlation there can be between a salesperson’s realised quota and the quality of their sales activities. We had the opportunity to map sales behaviour againment to revenue againment for one of our customers recently and the results were very surprising. Each one of your reps is different, equally, each target account is unique. Build an individual growth plan for each of your team members that plays to their advantage – putting their strengths to good use and smoothing out their weaknesses. 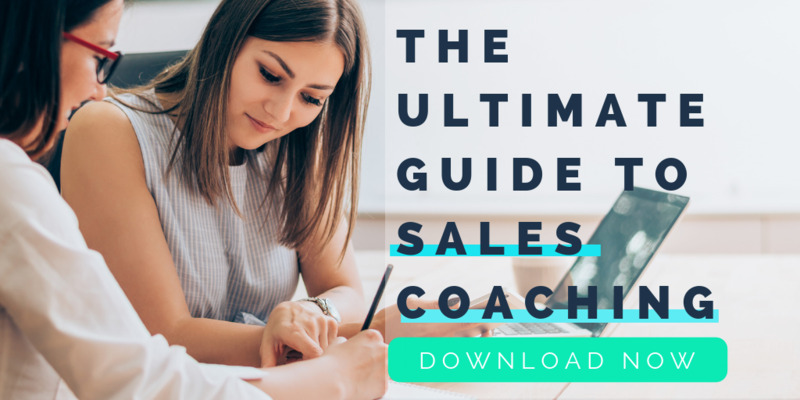 Data-led sales coaching hugely impacts sales results, discover the new way to coach winning selling skills with our complete guide to Sales Coaching.